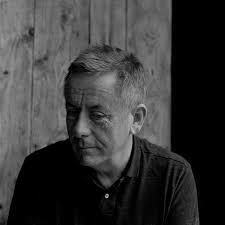 With a poet's heart and a rockstar's soul, Luka Bloom is regarded as one of Ireland's most respected contemporary folk artists, having produced over 20 albums since the 1970s, Bloom continues to push the boundaries of what his music can do. A master interpreter, Bloom has continued to balance original songs with reinventions of tunes by a diverse range of songwriters. Like many who write songs, Luka's orchestra of choice is the guitar. What makes his career a little different is his constant search for a new voice within the guitar. The guitar is the landscape on which the song is created, and he is forever probing that landscape for new inspiration. No effects, no gadgets. Time, effort and a whole lot of love bring forth new voicings within the instrument, and bit by bit, the songs come to life. And eventually they fly, bringing Luka with them to be heard in Byron Bay, San Francisco, Hamburg, or even Doolin. Catch Luka in the intimate setting of Matt Molloy's Yard Bar on Thursday, 12th October. Doors open @ 8PM and tickets will be available on the door on the night.